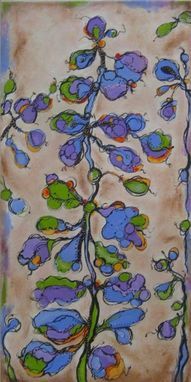 Spring Growth - Original Painting 12" X 24"
Whimsical, and colorful mix media painting made with materials such as acrylic paint, pastels, oil sticks, charcoal, and ink. This painting would look great in any room of the house. There is an attached wire on the back, so it's ready for hanging, with or without a frame.